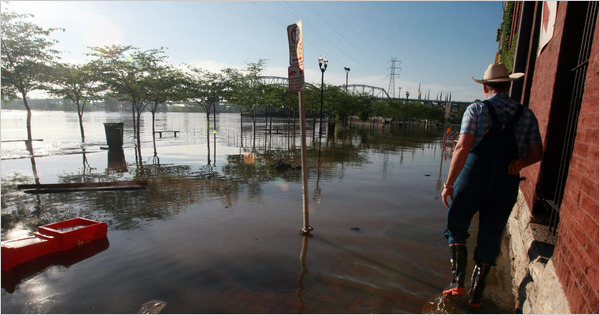 The beginning of this month saw an unprecedented amount of rain causing the Cumberland River to overflow, flooding Nashville and surrounding areas, destroying thousands of homes and businesses and killing at least 31 people. 3 tornadoes in Nashville and 13 around Memphis further contributed to severe damage, with private property damage alone estimated at over $1.56 billion according to Nashville's Mayor Karl Dean. 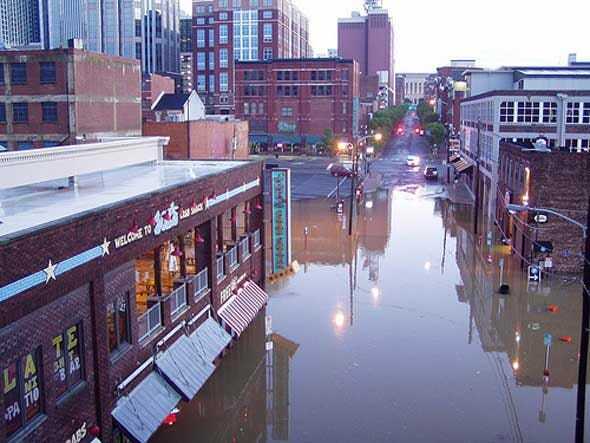 This could set a record of one of the worst natural disasters in US history, yet a web search for "Nashville flooding" yields a disappointing number of articles by major news sources. With all the focus on the oil spill, this story seems to have been overlooked, but they need our help too. 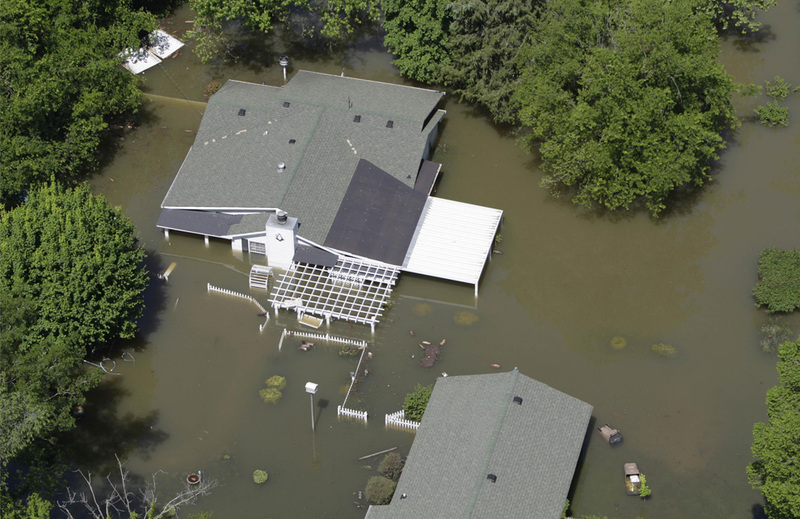 To help, Al Gore has posted on The Huffington Post the following relief funds available through The Community Foundation of Middle Tennessee - the Metro Nashville Disaster Fund and the Tennessee Emergency Response Fund. Image from president raygun on flickr via Business Insider. Image from The Boston Globe. See more incredible images of the aftermath at The Boston Globe.